The following story is designed to help get your teams thinking about the topic from the “How can we learn this together” approach. There are many detailed books with different points of view about acceptance testing. I created this story as a way for teams to discuss this in a common language and figure out what works for them. 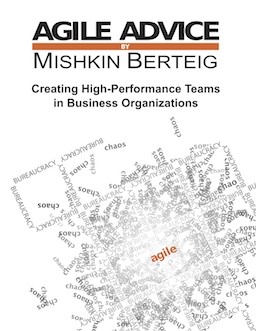 While you read this, I hope you see many similarities to the Agile Frameworks of your choice. Perhaps quizzing your team on how many they find might be fun? (a different topic). Please don’t give me a hard time about the medical inconsistencies. I’m not a doctor and don’t have a medical degree. It’s just a story and is completely fictional. Fade in….. The patient walks into a moderately lit room with an uncomfortable black chair that looks like it’s 20 years old, sitting next to a medical examination table. The patient sits on the little black chair to discover it also feels that way. He is going to be the patient for a long series of medical procedures to solve some medical problems. The patient knows it will take many surgeries to get to where he wants to be. Surgeon: So, we’re going to remove your appendix this week. The team is anxious to get rolling. Patient : I’m pretty nervous. I don’t really know what to expect and I know I have all these other operations that need to get done for me to be totally healthy. Surgeon : Don’t worry. We have a really good team. We also want to make sure you are 100% satisfied with the work we do. We know that you want to get some cosmetic work done in the future and you have other important surgeries to do, but for now, let’s focus on the appendix removal, OK ? Surgeon : We want to make sure we have a common understanding of what you want from us. So, we’re going to ask you a few questions OK ?…Can I get the team in here ? Surgeon : Well, for this to be considered a successful operation, what kind of things are you looking for? I already know, that to me at least, successful means two things. 1- The appendix is out and 2 – you don’t die during the surgery. Well, actually, the not dying part is part of every surgery we’ll do for you. We’ll assume that every surgery needs you to live. Patient : I’m glad you said that!!! Phew.. I feel better already. And ya, I agree, it would really be a drag to do the surgery and not end up with the appendix out. I agree with both of those things. Surgeon : We need to put a caveat. If we start and see that it’s impossible to finish for some other reason, we’re going to abort the surgery. We won’t continue if we can’t be successful. Patient : Yes, that makes sense. Surgeon : So, we’re agreed then. Let’s go ahead and get you prepped. Anesthetist : Not so fast, I need to speak. We want to make sure you don’t have any allergic reactions. Have you ever gone under? Do you have any allergies ? Patient : I’ve been under before, and have had no problems. Anesthetist : Great. Let me just record that on our surgery card. We’ll need to know that we can make adjustments as we go if something bad happens. Is that OK ? Patient : Ya, whatever you need to do.. Go ahead and switch to another chemical if you need to. I’ll be happy if you don’t kill me and you’ve done what you can if you notice an allergic reaction. Patient : Since I’m on the topic, I would like to have a very small scar and not a big one. I am willing to pay extra for a smaller scar and therefore, for me, I won’t be happy unless the scar is small. Surgeon : Well, that will make the operation harder and we might need to put off some work where we were prepping for your next surgery until a future date. The reason is that you can only be under a limited amount of time. It won’t cost you more because the price of the surgery is fixed. You might have to give something else up later. Can you live with that ? Patient : Yes, if I have a big scar, I won’t be happy. I am willing to pay the extra over the long run and maybe I’ll have something less done later. I really don’t want big scars as we move forward. Surgical Resident : Hold on, that’s way too subjective.. What might be big to you could actually be a really small scar. What does a small scar mean? Here are some examples. Which on of these is considered small enough for you? (shows a batch of photos). Patient : I’d like it to be at least this small. (picks one). Surgical Resident : OK, the scar will be under 30 CM in length and 1 CM in width. Does everyone feel we can do this and this? Patient and the rest of the team : No. Doctor : OK team, let’s quickly review our acceptance criteria… Patient Alive, deal with allergic reaction and the patient expects a scar of under 30 CM and 1 CM in side. I expect everyone on the team to help me make sure we meet these requirements. Can everyone agree before I cut? Surgical Resident : Doctor, if you do that just a little differently, perhaps you will be able to shave a few millimeters off the size of the scar. What do you think ? Surgeon : Great idea.. Thanks for that. Why don’t you hold onto the medical gizmo while I do the next cut. Sure, that will make it easier for both of us to do this together. Anesthetist : Hey guys, hold on, let’s just talk about this. if you do that, his blood pressure will go up and you risk killing him. Surgeon : Wow, thanks. I doubt we would kill him, but we’d probably have to do some extreme surgery which would definitely give him a huge scar. Let’s think about this. Surgical Resident : Hey Doc, we’re almost half way through the time for the drugs and allocated time for the surgery. Can we all agree about how much work is left so we don’t keep him under too long ? OK, we have about another 2 hours of work do here. We’re still good. No need to worry. Let’s update the surgical status board to say “surgery progressing appropriately” so his family knows everything is on track. Surgeon : OK, let’s finish up. Anything missing ? Surgical Resident : Yes, don’t forget to take out that sponge. Surgeon and Anesthetist : Yikes! Surgeon : Thanks for catching that. Anesthetist : No kidding. That wouldn’t be very professional and people probably wouldn’t think we’re very good at what we did if we left stuff undone and had to come back and fix it later. (surgery is finished successfully and the patient gets rolled out). … fade in…. patient in recovery and the team comes to check on him. Surgeon : So, the surgery went really well. You’re obviously alive, your appendix is gone. Only one last thing…..
(the doctor removes the bandage and shows the patient the size of the scar). Patient : Wow, that’s exactly what I asked you for. It hurts a lot, is that normal? I wasn’t expecting that! Surgeon : Yes, that’s normal. Once the swelling goes down, it will be even smaller. Surgeon : Thanks to the team. Everyone really worked hard to make this happen. Patient : Ya, thanks team. Surgeon : Oh, by the way, we had to correct an adhesion we discovered while working. Not to worry, we didn’t charge you extra. We charge for the amount of time we spend doing the surgery. We just fixed it while we were in the area. (yes, I can see the malpractice lawyers cringing.. this is just a story). We knew it wouldn’t extend the amount of time for the surgery and we knew you would be happier with the results. Patient : Thanks. The team is amazing! Surgeon : Is there anything you didn’t like or any special comments you’d like to give the team for the next surgery? Patient : Ya, I wish you would have warned me about how much it would hurt. Surgeon (whole team nods) : Thanks for that. We’ll consider that in the future. … fade in …. Medical Team room. Surgeon : Well, that went very well.. any comments about what could have gone better? Surgeon : Great, we’re agreed then. For the next surgery and all the ones we do in the future, let’s have an open discussion with the patient ahead of time about the expected amount of pain so it doesn’t cause them alarm when they come out of surgery. It will be a better experience for them and improve our professionalism.